Read part one of this Chattanooga Wedding! 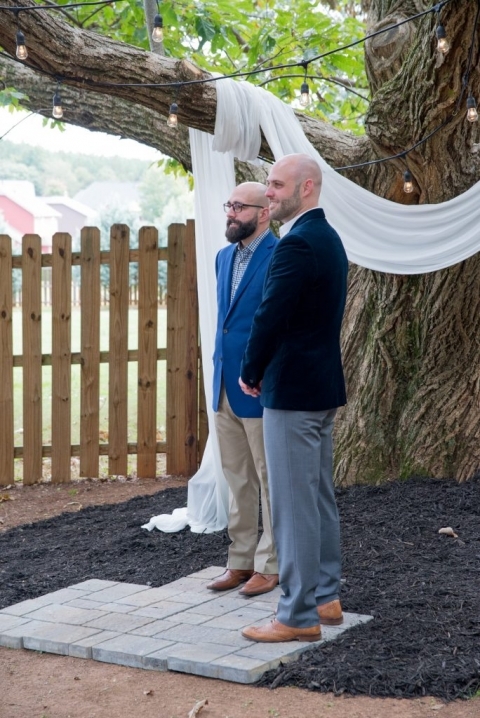 As mentioned in the previous article, this wedding was a backyard wedding that was not anything you’d expect! 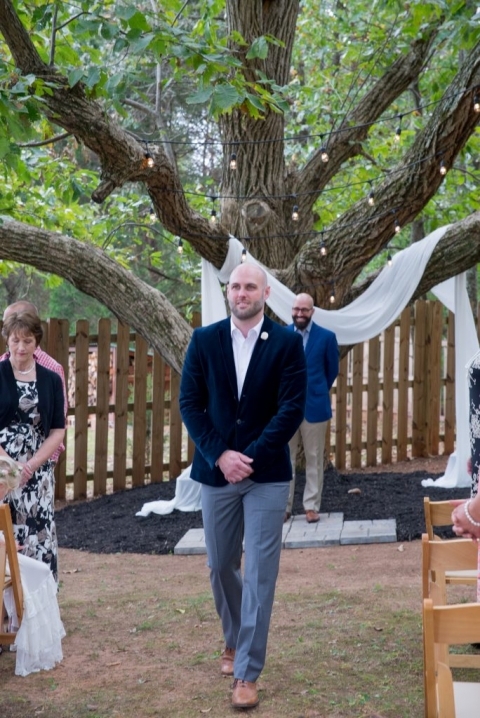 They got married under a gorgeous oak tree in Joel’s parent’s backyard draped with fabric, and decorated with café lighting. 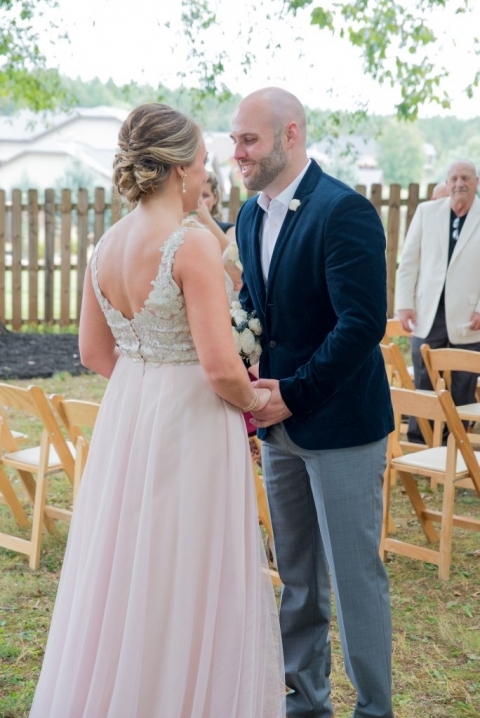 Jenn walked herself halfway down the aisle and Joel met her in the middle to take her the rest of the way. It was such a sweet way to show how much he loves her. After their wedding, they had the most amazing chocolate cake, threw bouquets, played games after lunch and ran away to check into their honeymoon hotel! Later that evening, they threw a party for all their friends and danced the night away. 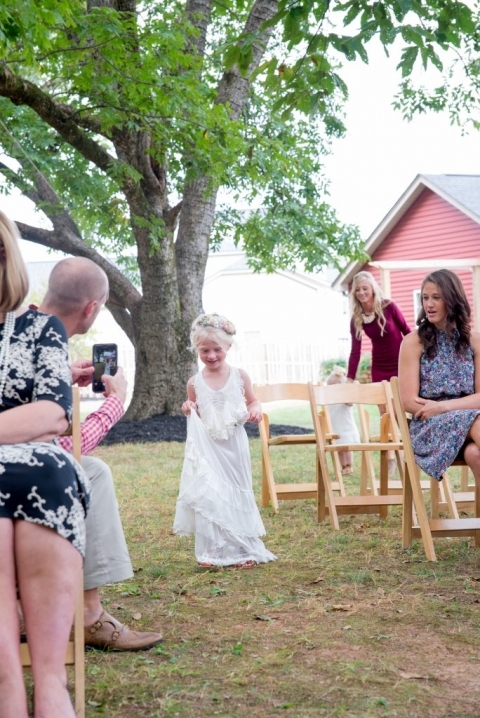 Providing wedding photography for this couple and their family was a breeze and such a joy. If you are still looking for Chattanooga Wedding Photography, I would love to chat with you! You can send me a message here.